Accounts? No thanks. That's how I have been escaping accounts all this while. I never had the interest to study accounts at solely because I do not understand all the bank terms they use. Investment, subsidy, invoice, simple interest, compound interest, bla.. bla.. bla..
Financio came like a wrecking ball to save all the small business starters. 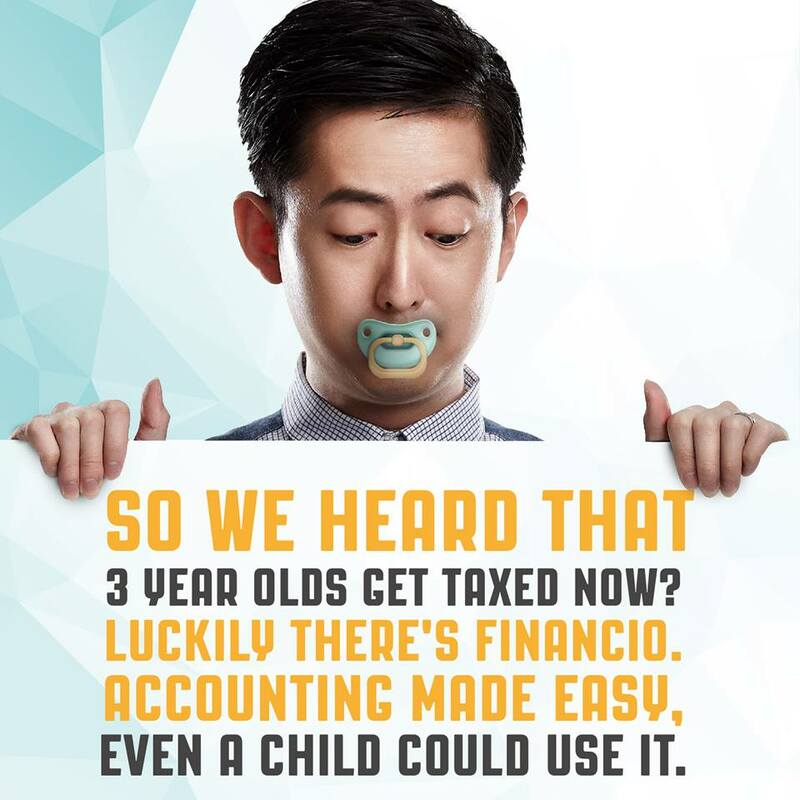 Financio is a new generation of online accounting & invoicing software tailor-made for Malaysian small businesses who is looking to streamline their accounting & GST, sale & purchase process with the help of automation and a super easy-to-use accounting software. For the first time ever, Financio allows you to do real-time collaboration and exchange of documents on one single platform. Financio team cares about your cost efficiency, productivity and efficiency, allowing you to focus on what really matters to your business, such as generating revenue and happy customers. The software is residing on the Internet, allowing you to access it with any connected devices, anywhere on the planet. Your transactions are securely stored in our cloud storage with real-time backup facilities. You will never have to worry about losing your data again. So those who seriously hate maths or accounts like I do than rush now to get your FREE Financio account! What's the catch? Well, it comes in a limited version when it is free. So spend RM 1.00 per day to get the full version of it for just RM 32.95 for a month or RM 329.50 for a year. Good buy right? If I am a business woman, Financio will be one of the first things I will be getting! P.S. Try the free version first. See if it is user-friendly for you and then make a decision if you want to purchase Financio. When they are making our life easy then it is our smartness to grab the chance!